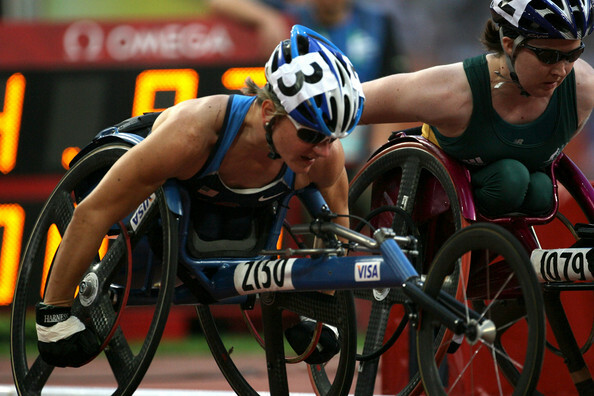 Cheri Blauwet is an American wheelchair racer and has competed at the Olympic and Paralympic level. At the 2004 Olympic Games, she finished 5th in the demonstration sport of Women's 800m wheelchair. She also participated in the 2004 Summer Paralympics, where she won gold in the 800 m, bronze in the 5000 m, and another bronze in the marathon.